Iran has denied any link to a spy cell dismantled in Saudi Arabia, after Riyadh said an Iranian is among 18 suspects arrested on charges of espionage for a foreign country, media reported on Sunday. "This is without any foundation. 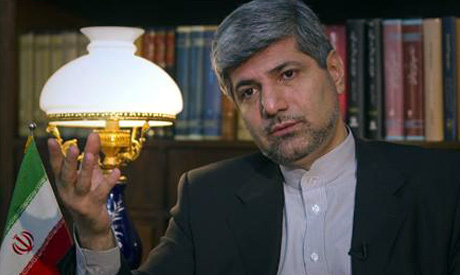 It is a scenario that is being repeated... for domestic consumption," foreign ministry spokesman Ramin Mehmanparast was quoted as saying. On Tuesday, the interior ministry in Riyadh said authorities had arrested 16 Saudis, an Iranian and a Lebanese in four regions of the country, including the Eastern Province where the Sunni-ruled kingdom's Shiite minority is concentrated. The suspects "gathered information on vital installations which they provided to the country" they had been working for, it added. Although the Saudis did not name the country the suspects were allegedly working for, the announcement that an Iranian is implicated could point to Iran. Saudi Arabia and its partners in the six-nation Gulf Cooperation Council have strained ties with Iran which they suspect of supporting Shiite opposition protests in GCC member Bahrain, which like its partners is Sunni-ruled. News of the arrests came as rights activists on Tuesday reported that Saudi security forces had arrested several Shiites across the kingdom, including two clerics, for unspecified reasons. Since early 2011, mainly Shiite towns in Eastern Province have seen sporadic protests and confrontations between police and residents complaining of marginalisation. There are an estimated two million Shiites in the Sunni-dominated Saudi kingdom of about 27.5 million people.